Though his father wasn’t there to help him, Smith had the benefit of his father’s large family — 10 brothers and sisters. They kept him tethered to his father’s memory, and instilled a sense of pride in his heritage. Every summer, Smith traveled from his hometown of Atlanta to visit Mound Bayou and reconnect with his history. With every visit, the town and his family came to serve as the foundation upon which his character was built. A large part of his father’s legacy was military service, and several of Smith’s family members served in different branches of the military, including his brother and sister. Lola, who served in the Marine Corps for three years, led a charter elementary school and now is a teacher in Atlanta. His younger brother, Lawrence, served three years as an Army officer and now serves in the business field in Orlando. Lt. Gen. Leslie C. Smith flanked by his wife, Venedra (left) and mother, Lillie (right). Smith pursued the call to military service in high school, and joined the Junior ROTC program at Frederick Douglass High School in Atlanta. He later entered Georgia Southern’s newly reinstated ROTC program in 1981 on the Simultaneous Membership Program, which allowed him to become a second lieutenant in two years while serving in the Georgia Army National Guard. 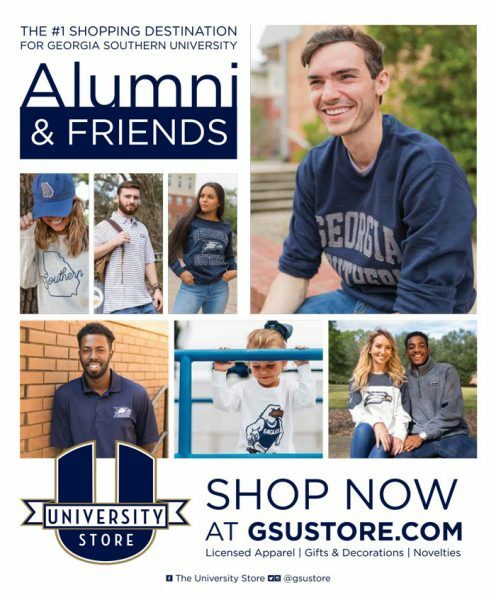 At Georgia Southern, Smith found a mentor in Sgt. First Class William Saunders, who taught him what it meant to be a good soldier and to strive for excellence in any mission. As a young soldier in Vietnam, Saunders lost most of his platoon. Due to that experience, he focused on developing great officers to lead in the Army. After graduation, Smith was assigned as a Chemical Officer, which drew jeers from his classmates. “They gave me a brochure and said, ‘Hey! You’ll be wearing your gas mask all day! Hahaha!” Leaning on the lessons he’d learned at Georgia Southern, however, Smith took the job seriously, and worked to be the best in his division. 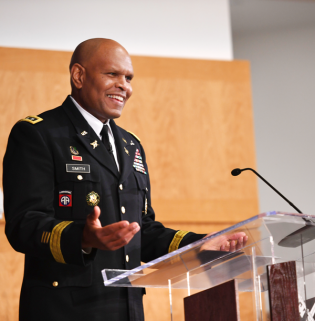 By the summer of 2001, Smith had worked his way up to Commander of the 83rd Chemical Battalion, and reported to Fort Polk, Louisiana, to assume command. Just a few months later, on 9/11, all of his previous training was put to the test. After the terrorist attacks, Smith’s unit deployed soldiers to Iraq, Afghanistan, Jordan and other parts of the world every 90 days. And in the wake of the anthrax scares all over the country, his unit deployed to the Pentagon, where they set up bio-detection systems on all five corners of the building. Smith spent the rest of his career in the Chemical Corps, serving on staff in the Army G-8, as the Deputy Division Chief and Chief of the NBC Branch for the Full Dimensional Protection Division. In 2005, he assumed command of the 3rd Chemical Brigade at Fort Leonard Wood, Missouri, and later served as the G-3, 20th Support Command for CBRNE (Chemical, Biological, Radiological, Nuclear, and High-Yield Explosives), and the 25th Chief of Chemical and Commandant of the United States Army CBRN School. 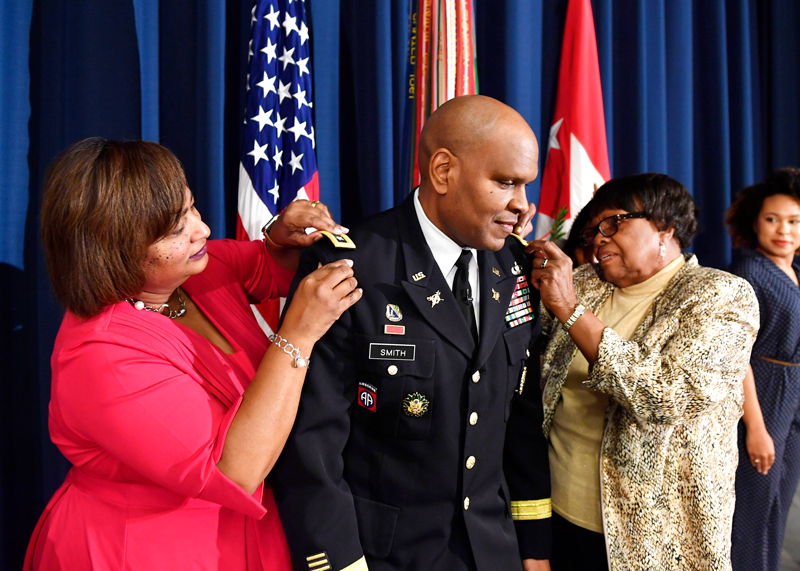 He became the first Chemical Officer to command the 20th Support Command, and the first Chemical Officer to command the Maneuver Support Center at Fort Leonard Wood, Missouri. He was appointed Deputy Inspector General in 2015, and assumed the role of the Inspector General in February of 2018. No matter how far Smith has ascended in the Army ranks, he always makes time to invest in others. Even before his daughter Tori attended Georgia Southern and graduated in May, Smith would visit his alma mater at least once a year to speak to cadets, business students or anyone else he felt he could inspire. He’s hosted groups from the Boy Scouts and other organizations, and was recently added to the Boys and Girls Clubs of America Alumni Hall of Fame. It’s the way he gives back to the people who helped him become who he is today. DISCLAIMER: The views expressed by Lt. Gen. Smith in this article are his personal views and do not necessarily represent the views of Department of Defense or its components.